Image of the Circular stacked pin-fed patch. 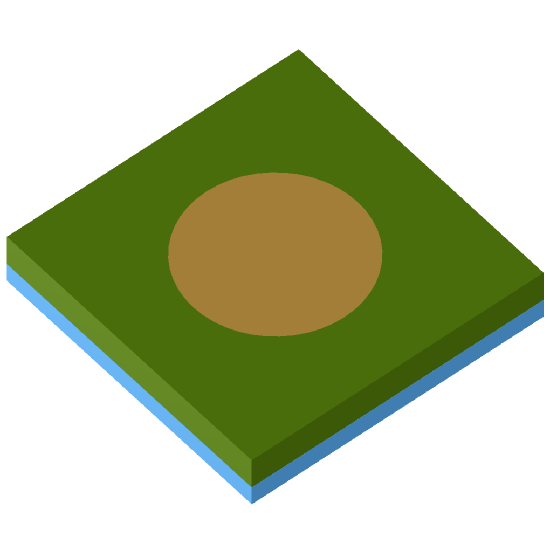 Microstrip antennas, also called patch antennas, are very popular antennas in the microwave frequency range because of their simplicity, low profile and compatibility with circuit board technology. Due to their resonant behaviour, conventional patch antennas, consisting of a single patch on a grounded dielectric substrate, radiate efficiently only over a narrow bandwidth. Stacked patches consist of one of more conducting patches which are parasitically coupled to a driven patch. This configuration overcomes the narrow bandwidth limitation by introducing additional resonances in the operating band, while maintaining the advantages of the conventional patch antenna.